CREAM is the youngest department in Kulliyyah of Science (As in August 2017). It was originally established as Integrated Centre for Research Animal, Care and Use (ICRACU) which later rebranded to Central Research and Animal Facility Management. Starting May 2017, higher management of IIUM decided to downscale the centre into a department, which is now known as department of CREAM. In history, ICRACU has been established by the IIUM in May 2011 to cater for the entire research activities in Kuantan Campus that mainly involved with Biomedical Science, Medical and Dentistry research. With the increasing number of undergraduate and postgraduate students pursuing their studies in various Kulliyyah’s in Kuantan Campus, the usage specialized instruments and personnel in ICRACU are very much needed an attention. Despite the downscale of ICRACU into a department, the vision and mission of CREAM department is clear to become a world class research and animal facility for fundamental, multidisciplinary and translational research in human and animal health. CREAM is committed in providing cutting edge research and animal facility with Collaborative partnership and open Accessibility to enhance the Reliability and quality of fundamental, multidisciplinary and animal research through enculturation of Islamic and Ethical values in Modern research. In line with the demand and requirement for research and animal facility, CREAM has been equipped with state of the art instruments which enable CREAM to perform scientific testing to the animals in order to produce the highest quality laboratory animals and supplying them to the market and research community for the purpose of high impact research and publication. a) To establish collaborative partnership with relevant stakeholders. b) To provide a reliable and high quality research facility and output. c) To ensure all related research activities are ultimately guided by Islamic and ethical values and practices. d) To provide an open platform for efficient and easy accessibility to researchers and relevant stakeholders. e) To establish a versatile facility and services with modern, cutting edge technologies. CREAM is a department that provide services in the form of research and animal facility. The services and products are accessible to every Kulliyyah in IIUM, as well as Government agencies, private sectors and companies. The services and products are outlines as below. 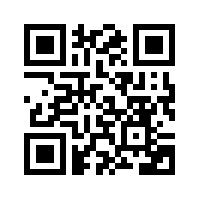 For instrument online booking please use this QR CODE or this URL link .